Is There eBay in Ireland & Dublin? Be Warned of Irish Official Site! Official Irish version of the eBay site offers convenience to online shoppers in the country, but it’s not always the smartest way to make purchases. And do read on for more details on eBay shopping in Ireland..! While the eBay.ie version is convenient in finding Irish eBay sellers and to search through products in Ireland & the United Kingdom, most people are also using the global version of their popular online shopping and auctioning portal. In fact, one of the biggest strong points of eBay services is in it’s global reach. You can shop with the whole world within your fingertips, and compare pricing of items together with estimated shipping costs. Convenient! What you won’t get on the Irish version of eBay for example, is the ability to search through sellers located within the import duty free EU. Also, nowadays many Asian sellers are highly competitive, with low-cost shipping options, lower pricing and even better availability. Exactly what the global eBay version is for. Naturally, comparing pricing with what’s offered on eBay.ie is the smart thing to do. So let me explain some buying tips and how to narrow down searches. 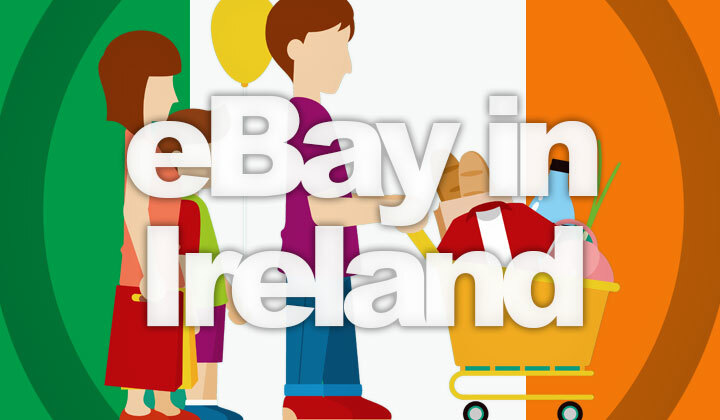 Here’s how you can have eBay work for your advantage, and compare prices between Irish eBay sellers and other international regions. Step 1. Click here for advanced search on Irish eBay. Step 2. Go down to the country location settings. Step 3. Select Ireland from the drop-down list. Step 4. Search for item amongst sellers in Ireland. Step 1. Click here for advanced search on the global eBay. Step 2. Go down to the country region settings. Step 4. Search for item with shipping cost to Ireland included. While checking out the sellers in Ireland is worth it, eBay.ie is more likely to just give you results from sellers in the United Kingdom (UK). So naturally, going the eBay.com route to search through the whole of EU and Europe for example is a much more price competitive option. Either way, delivery times will vary. But there are quite a few sellers that are located in Dublin, it just depends on the type of stuff you are looking for. Obviously some shops have concentrated their online selling efforts to eBay for global reach. To find and get in touch with these companies, eBay Ireland’s official and full site does come in very handy. So sign in both websites (same user account will work on both of them) and see what they can do for you, and get in touch with sellers. Questions on buying, auctioning, online shopping in Ireland? Or just anything eBay related? I’ll be happy to answer! Your visit is hugely appreciated, thanks & hi to Dublin! David.